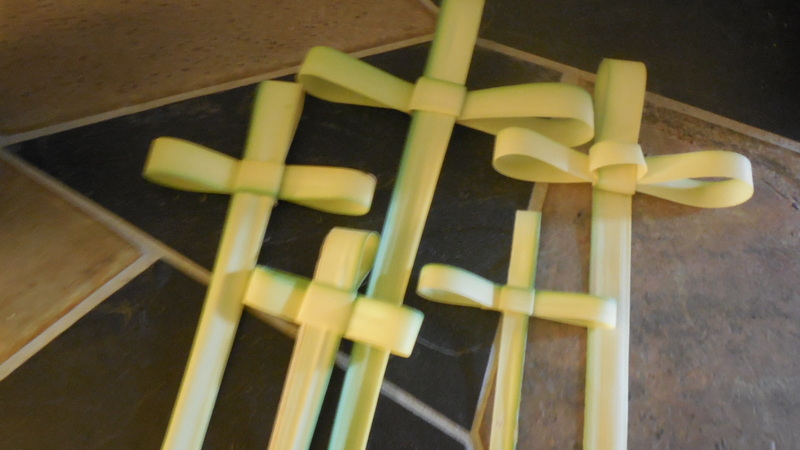 Palm Sunday is the beginning of our Easter Week. It is both a solemn and joyous time in my town in Sicily. Each day they commemorate the journey of Christ’s Passion, Death and Rising on Easter Sunday. 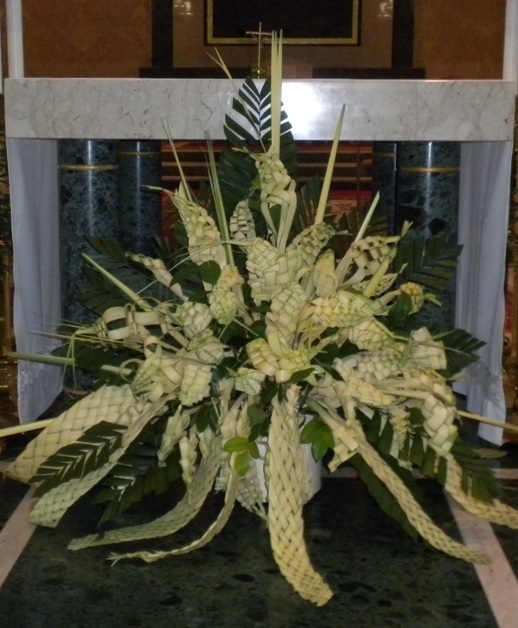 On Palm Sunday there is a procession through the town where the people carry beautifully woven palm fronds. Our celebration here is less elaborate but we try to be true to the spirit of the day. We always go to Church where there is a short procession and we are given blessed palms. My father always made palm crosses and pyramids for us. We kept the crosses in the house as a blessing throughout the year. My father is gone now but we try to continue, I make some rudimentary crosses. My friend Gene however has elevated palm weaving into art. Gene’s palms are elaborate and stunning. He joyfully shares his talents and demonstrates the devotion to his faith. Gene and our friend Carlo Mattia conduct annual seminars to teach others the art and technique of palm weaving. They are helping to keep the tradition alive and helping to make our celebrations more beautiful and meaningful. Here is the link to Gene’s site. I was inspired… Happy Easter! Very nice 🙂 I love this. Thank you Monica. I’m having fun with this.